The Incredibles came out in 2004. The Incredibles 2 will come out in 2018. But for the characters, no time at all will have passed. It’s interesting that this film won’t use the real-world time to explore what’s happened with the family since they suited up. I guess a time jump was vital to the story last time and they want to do something new. Even if time may no longer be a factor, family will still be the center. “One of the unique things about the Incredibles is it’s really a story of a family set in the world of superheroes. This one carries on that theme,” said Lasseter. You have to wonder how they will do that, since the obvious theme with this is the family adjusting to being back in the spotlight, which doesn’t resonate with most people. Leading a double life does, though. Especially for kids trying to hide things from their parents and vice versa. We should hear a bit more about the movie as D23 continues, and more details should help us pin it down before the movie comes out June 15, 2018. 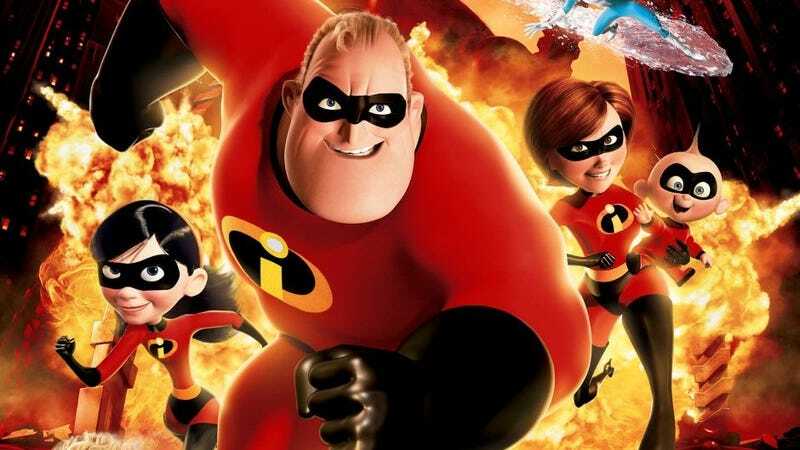 What If Christopher Nolan Had Directed The Incredibles?